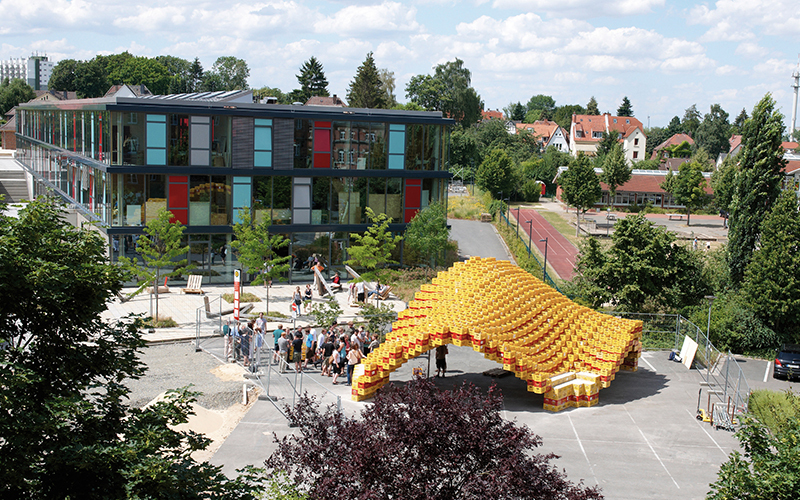 The design of the Boxel pavilion was carried out in the form of a competition among Bachelor students at the Detmold School of Architecture and Interior Design. 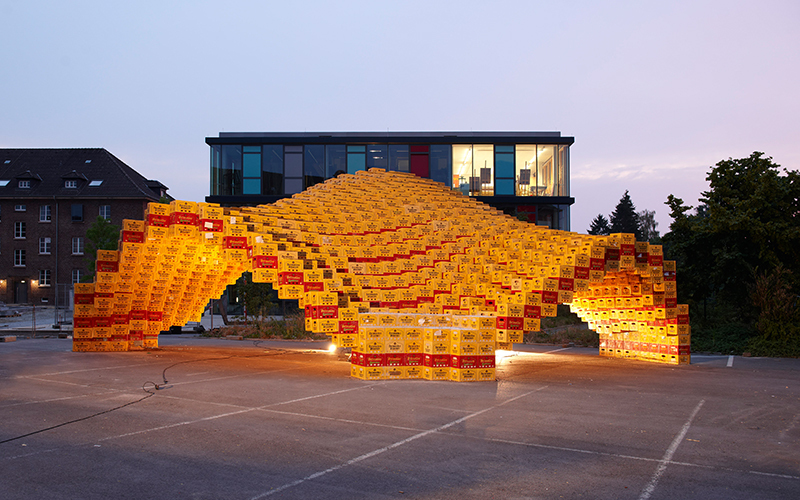 The building was based on a minimal surface and consisted of 1950 beer crates organized along a free-form geometry. 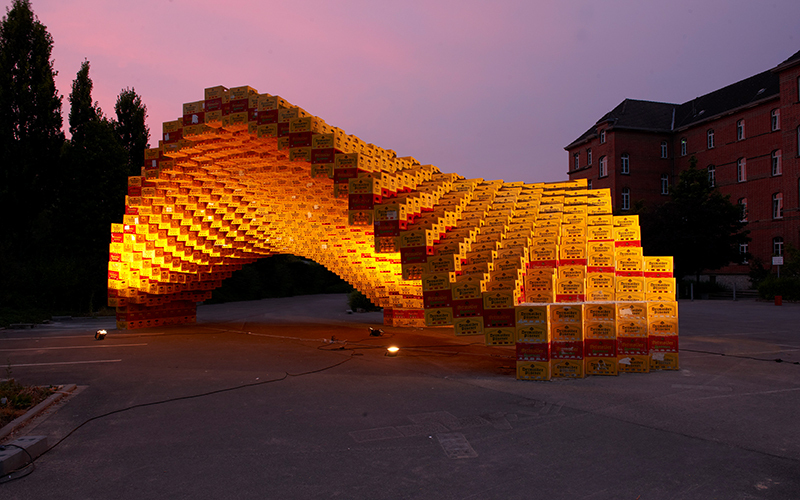 The usual vertical stacking of boxes was abandoned and a free organization adopted. The geometry evolved from three support points and formed three arcs that opened up towards the main buildings of Emilie Campus and reacted at the same time to the relevant lines of sight. 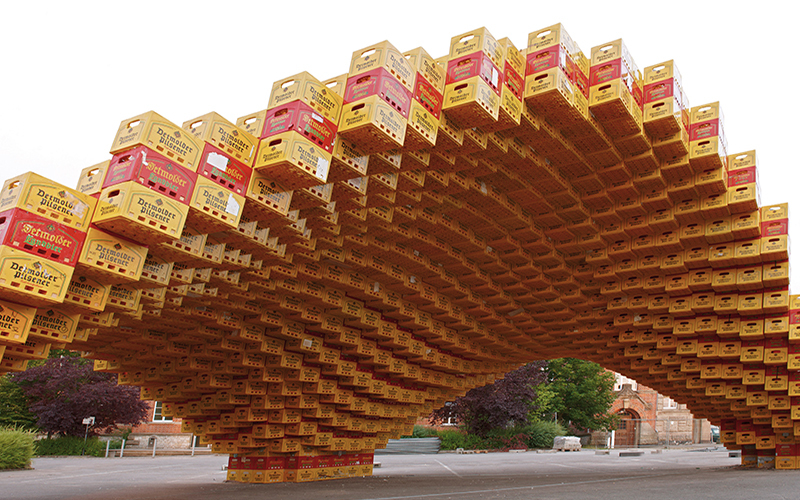 In order to define the construction concept and the detailing of the connection, several static load tests were made to understand the structural behavior of the unusual building material, especially in view of the fact that the empty beer crates were not stacked onto, but freely organized next to, one another. Parallel to the digital planning process, a series of load tests were performed in the university’s laboratory of material research at the Department of Building Engineering. 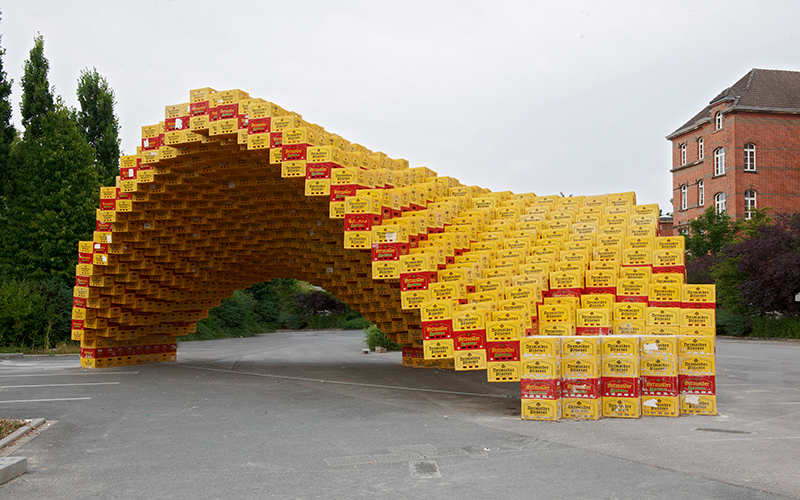 The beer crates , after having been used for ten years , were supplied by the local brewery in Detmold. 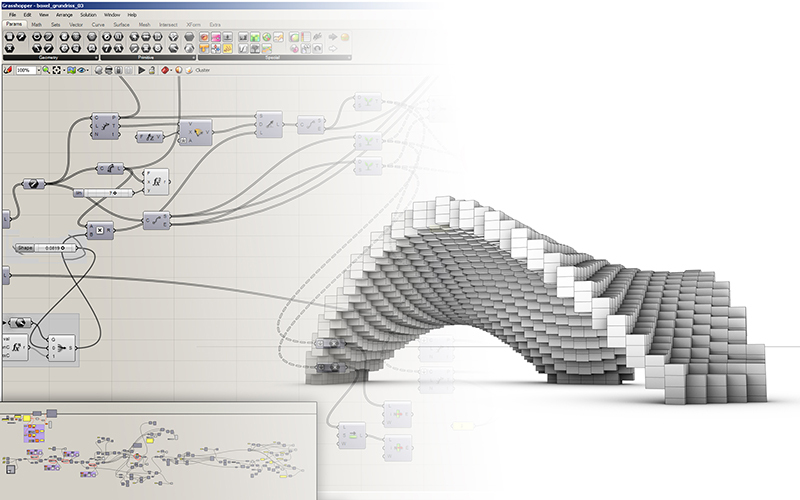 Marco Hemmerling, Matthias Michel, David Lemberski, Guido Brand, Henri Schweynoch, Guido Spriewald, Elena Daweke, Lisa Hagemann, Bernd Benkel, Thomas Serwas, Michael Brezina, Samin Magriso, Caroline Chi Zhang, Michelle Layahou.